It’s Crystal Clear We Need All 5 of These Healing Bracelets! When it comes to the jewelry brand Free to B, it’s not just a brand made to love. It’s the jewelry brand that’s actually made from love. Founded by Brenna Scheff, Free to B adds a little bit of extra TLC to its handmade jewelry. Shop With Us: These Are Us Weekly’s Best Book Club Reads for the Month of March! 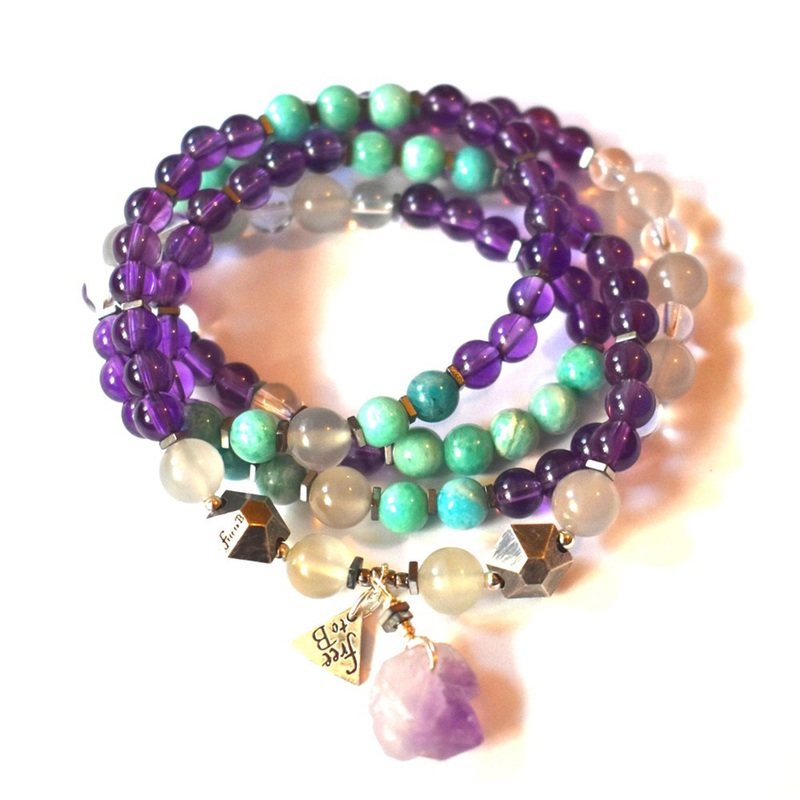 The Free to B Malas bracelets include different semiprecious stones from Carnelian to Amethyst and other natural materials believed to carry healing and spiritual powers. Inspired by the healing movement and the energy around Us, Free to B’s wearable art is like a wearable canvas to paint our own metaphysical picture. Encouraging wearers to “just be you,” there’s a Malas bracelet for everyone, all carefully crafted from any crystal we can dream up. All of Free to B’s pieces look to do anything from shielding and protecting to loving us day in and day out. Best of all? Us Weekly readers get an exclusive 15% off discount at Free to B using offer code “UsWeekly” for a limited time! Hurry, though, because it won’t last forever! It’s crystal clear we don’t want, but need, all five of these healing bracelets ASAP! Happy shopping! 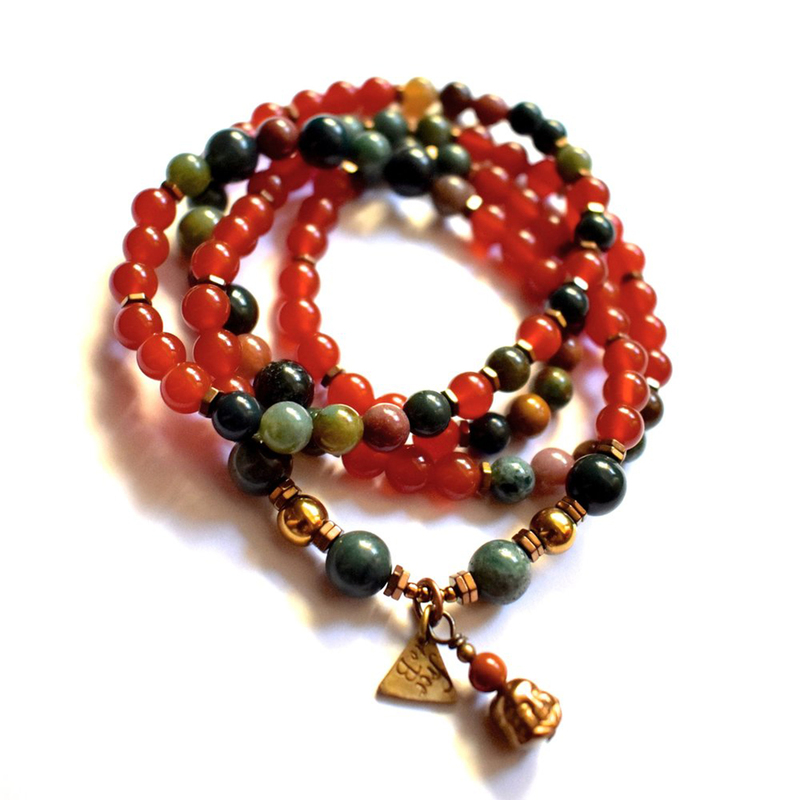 The Stones Heal + Carnelian can be worn as either a necklace or a bracelet handcrafted from Fancy Jasper, Carnelian and Hematite. This charming bracelet, which features Brass and Hematite Buddha charms, is believed to bring stability, courage, strength and even has been said to ground Us! See it: Grab the Free to B Stones Heal + Carnelian (originally $128) now only $109 exclusively for Us Weekly readers using 15% off discount code “UsWeekly” for a limited time at Free to B! The Stones Heal Metal Gems + Amethyst is another excellent option when looking for a charm bracelet that will charm day after day. Handcrafted from Amethyst, Amazonite, Clear Quartz, Grey Moonstone and Hematite, this stunner also features sterling silver accents and embellished with a Raw Amethyst Point. It’s ideal for those looking to combat anxiety and bring a sense of balance and calmness into our day-to-day lives. See it: Grab the Free to B Stones Heal Metal Gems +Amethyst (originally $155) now only $132 exclusively for Us Weekly readers using 15% off discount code “UsWeekly” for a limited time at Free to B! 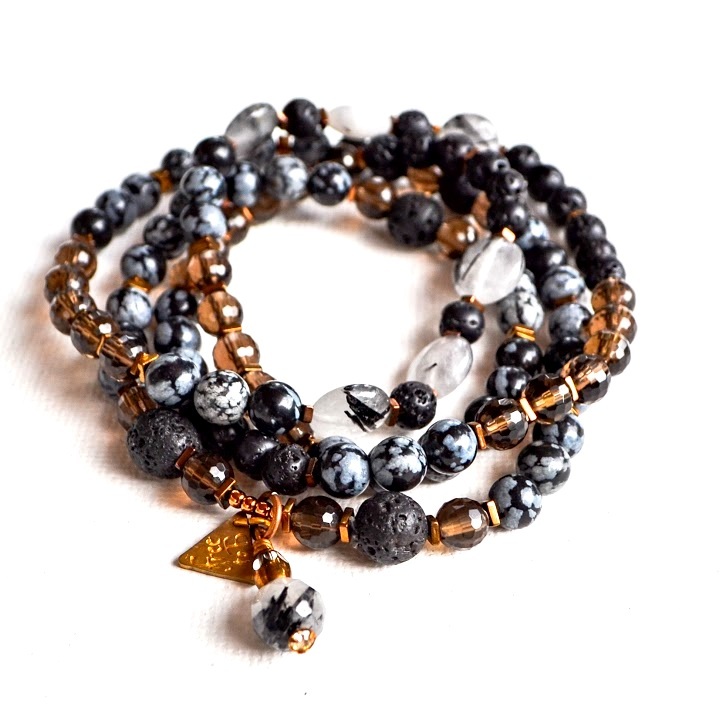 The Stones Heal + Snowflake Obsidian bracelet is the smoky sooth option. No, it’s actually soothing. Made from Snowflake Obsidian, Smoky Quartz, Tourmalinated Quartz, Hematite and Lava, this option also features tourmaline quartz. It’s said that these crystals will ground and stabilize us while giving Us clarity and connection that will aid in the protection against all of those negative energies. See it: Grab the Free to B Stones Heal + Snowflake Obsidian (originally $128) now only $109 exclusively for Us Weekly readers using 15% off discount code “UsWeekly” for a limited time at Free to B! 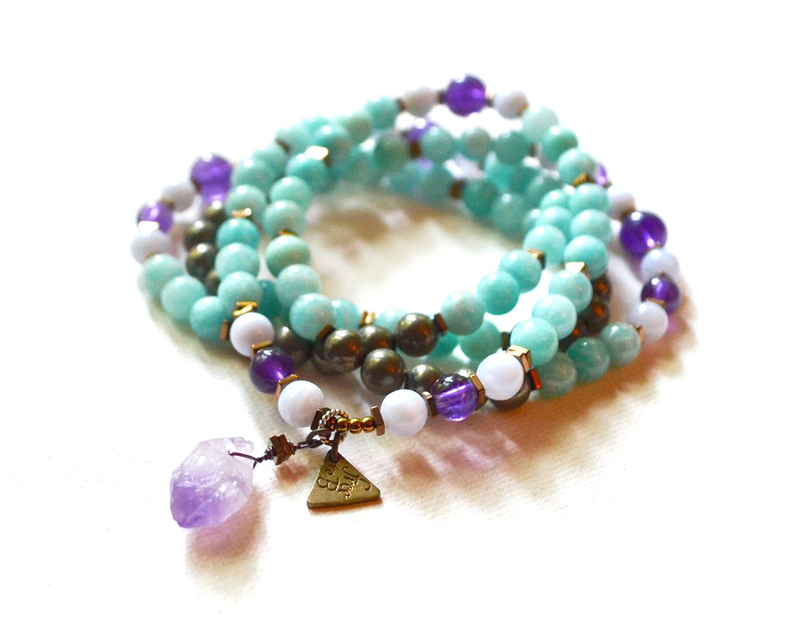 Go ahead and call the Stones Heal Mala + Amazonite option the most aware bracelet of them all. Crafted from Amazonite, Amethyst, Blue Lace Agate and Hematite with natural Amethyst Point embellishments, this bracelet is believed to bring a sense of balance and calmness into our lives. The bracelet is believed to open up throats, hearts and even the third-eye Chakras! Slip into this stylish bracelet for the easiest stress-relief, ever! See it: Grab the Free to B Stones Heal Mala + Amazonite (originally $128) now only $109 exclusively for Us Weekly readers using 15% off discount code “UsWeekly” for a limited time at Free to B! 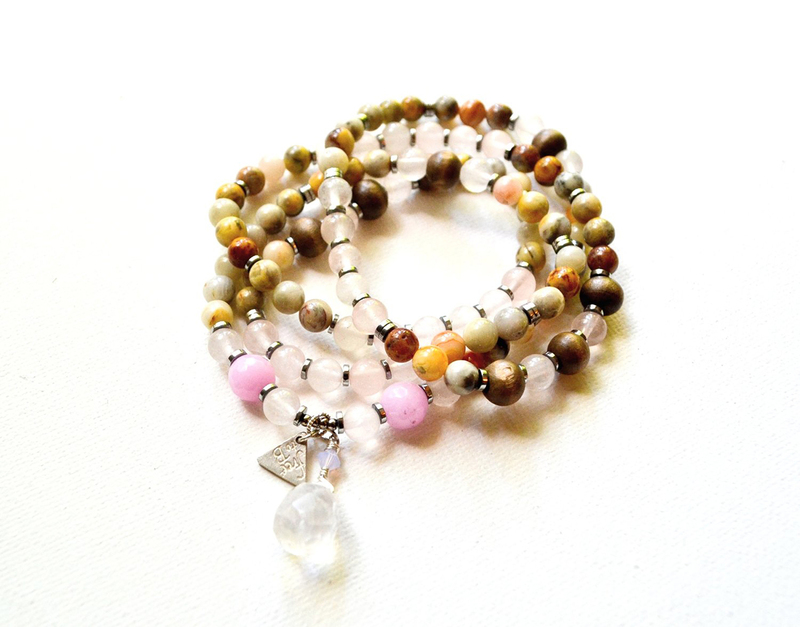 The Stones Heal Mala + Rose Quartz option isn’t just the bracelet we love. It’s the bracelet we’ll love to wear, too! Made out of Crazy Lace Jasper, Rose Quartz, Hematite and Jade, it also features subtle rose quartz drop throughout. With stones that are said to bring love, happiness and fun to our lives, what reason do we have not to slip into this stylish option? See it: Grab the Free to B Stones Heal Mala + Rose Quartz (originally $128) now only $109 exclusively for Us Weekly readers using 15% off discount code “UsWeekly” for a limited time at Free to B! Not your style? Check out additional options also available at Free to B!